Immigrants arriving in Canada equipped with degrees and job experience are saying that finding work is still difficult. It is interesting to see that legal immigrants are having trouble getting jobs when the country's Prime Minister Justin Trudeau is one of the most far-left, ultra-progressive liberals the nation has ever elected. Despite the apparent employment problems, the country does seem to be at least offering some helpful programs for those who are looking for a new job. For example, the Coquitlam Public Library held a hiring workshop Monday where about 50 people attended to get help polishing their resumes, rewriting cover letters, and getting some leads on potential jobs in the fields they are seeking employment in. One attendee was a young woman named Jasleen Bindri who taught English literature in India for 10 years. "It's been a rather challenging experience," Bindri said. "I think it's a vicious circle that you're expected to have the Canadian experience, but you can't have the Canadian experience unless you get into something." A multicultural organization known as S.U.C.C.E.S.S. was the organizer of the event at the Coquitlam Public Library. The organization says that Canada's economy could fail to reach its full potential if immigrants aren't allowed to fully contribute to the industries they are qualified for. Bindri took her own plight one step further by volunteering with various organizations like S.U.C.C.E.S.S. She hopes that such volunteer experience will add to her resume and ultimately increase her chances of entering the Canadian workforce. Another immigrant from India named Riddhi Sawant said she has a master's degree in game design and experience working with computer graphics. Sawant also claims that despite her qualifications, she has been unable to break into the Canadian workforce. "There is something called Canadian work culture barrier," Sawant said adding that she thinks companies should be more willing to hire citizens from other countries. The director of S.U.C.C.E.S.S. supported and corroborated what both Bindri and Sawant said their experiences have been. Drew said, "The unemployment rate is so low that there really is a need for employers to be looking at all the sources of workers. They may not have thought about newcomers before. We have diverse communities and we need diverse workers to support them." Drew admitted that some of the issues facing newcomers have been language barriers and a lack of fluency with the nation's official languages. Contrast the work of these organizations that help newly arrived immigrants to the dubious and weary atmosphere in Canada towards constantly increasing immigration levels. One report from the Angus Reid Institute took a look at polls dating as far back as 1975 and found that about one in four Canadians have always said they think immigration limits should be reduced. The same polls were also clear that the majority of Canadians show support for keeping levels where they are. A short video from The National Post contains some tips for immigrants looking to become citizens. A more recent survey conducted by the same institute seems to paint a different picture and shows a spike in opposition to immigration. 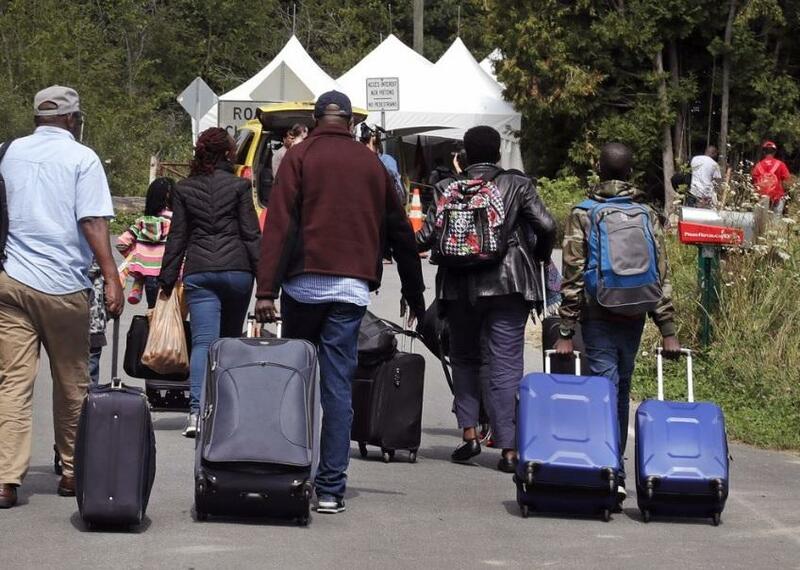 Angus Reid Institute says the spike coincides with "more frequent and increasingly fraught conversations about policy regarding immigration and migration to Canada." The sentiment also appears to be reflected in a Harris/Decima poll from 2014. There is no denying there has been a recent surge in anti-immigration sentiment, especially when the 2018 survey shows 49% of respondents want immigration levels decreased. The executive director at the Angus Reid Institute Shachi Kurl said they chose to compare the past surveys because they all used the same basic questions relating to immigration. Kurl added, "We’re seeing a notable change in the trendline, but it’s one data point, so what we can’t know yet is: are we seeing a country that’s now trending in a particular direction, or are we experiencing a moment in time?" Kurl also seemed to think that it is difficult to determine whether the heated political atmosphere surrounding immigration is contributing to the public's opinion on immigration, or if its the other way around. "One data point doesn’t make a trend," Kurl said. "We have to wait and see where sentiment goes over the next couple of years." It is hard to ignore when the number of people who think immigration should be decreased is at the highest levels it has ever been with the second highest being in 1995. The 1995 poll found that 45% of Canadians wanted to decrease immigration. The most recent poll surveyed 1,500 Canadian adults who are a part of the Angus Reid Forum. Not only is the public's attitude toward immigration becoming less enthusiastic, but there is also very real increases when you consider that immigration targets have been steadily rising since 2014 from 260,000 to the current target of 310,000. The 2018 survey results were broken down by province with Manitoba and British Columbia showing the lowest numbers of opposition and the rest of the country is relatively even. The 2018 report added, "In Ontario, the province where most immigrants settle by a wide margin, one-third are satisfied with national levels, while half say they should be reduced." A pretty obvious split was found among Liberal and Conservative voters with 67% of Conservatives wanting lower immigration compared to 39% of liberals. Kurl also said, "There is a significant segment of that left-of-centre base that is also of the view that we’re accepting too many immigrants."